Brother Levern Bostick Sr. 71, departed this life Monday January 21, 2019 in New York. He was the father of Levern Bostick Jr. the brother of Gusand Weeks, Diane Bostick and Albertha Coleman. You may visit the family at 1625 Wildwood Loop, Marion. Funeral services are scheduled to be held at the St. Paul Baptist Church, Mullins Wednesday January 30, 2019 at 11:30 am. He will be laid to rest in the Old Ford Cemetery. 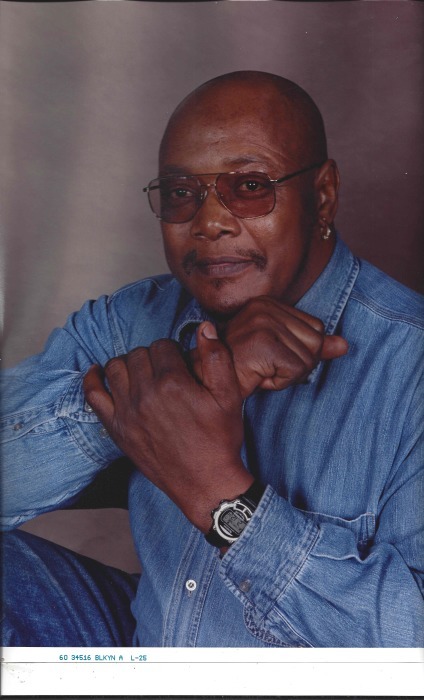 The Life and Time of Levern Bostick, Sr.
Levern Bostick, Sr. was born on October 7, 1947 to the late Lemar Bostick & the late Theda Graves Bostick. Levern Bostick, Sr. entered into his Eternal Rest with his Lord and Savior on Monday, January 21, 2019 at North Shore Medical Center, Manhasset, New York. Levern Bostick, Sr. was educated in the South Carolina Public School System and graduated from Terrell’s Bay High School, Centenary, South Carolina. Levern Bostick, Sr. married the lovely Mildred Pride of New York, New York on October 7, 1988. He leaves to cherish his fond memories; His wife Mildred Pride Bostick of the home; Two Sons, Levern (Carolyn) Bostick, Jr. of Columbia, South Carolina and Derrick Rogers of Scranton, PA. Eight Sisters, Albertha Coleman of Jamaica, New York; Robertha Walls of Marion, South Carolina; Betty (Ernest) Gore of Brandywine, Maryland; Gusand Weeks of Marion, South Carolina; Diann Bostick of Marion, South Carolina; Barbara Taylor of Florence, South Carolina; Ruby (Sammy Lee) Singletary of Lake City, South Carolina; Penny (Dwight) Jones, Philadelphia, PA; Two Brothers, Nelson (Richard Leen) Davis of Gresham, South Carolina; Jimmy (Dorothy) Davis of Charlotte, North Carolina; Mother In-Law, Inez Stevens of Alcoa, Tennesee; two Brother In-Laws; Jasper Pride and Charles Pride of Knoxville, Tennessee; and one Sister In-Law; Willie Brown of Alcoa, Tennessee; (5) Grand Children; One Great-Great Aunt, Laura Medlock of New York, NY; One Aunt Dessie Mae Wilson of Winston Salem, NC; One Uncle Lee Carson (Retha) Holloway of Winston Salem, NC; Two special care givers, Yolanda Davis and Jackie Clark; Three special friends, Jacqueline Middleton, Archie Newton and Brother James Nelson, a host of friends, nieces, nephews and cousins. Levern Bostick, Sr. was a converted Christian and Baptized as a faithful member of First Baptist Church of Brownsville; Brooklyn, New York under the leadership of the Rev. A. D. Lyons. He served as the Vice President of the Usher Board and as a member of the Church Security Team; He retired from New York City Transit Authority after many years as a Master Crane Operator. Levern Bostick, Sr. was preceded in death by his father and mother, Lemar Bostick & Theda Graves Bostick, and his sister Jennie Wease Lowery.